If Texas receiver Marquise Goodwin learns how to consistently gain and maintain position like he does on this catch, he has a future as a vertical threat in the NFL. Learn more from Sterling Sharpe in the video below. Photo by Aaronisnotcool. There was a time that Texas receiver Marquise Goodwin thought about red shirting to prepare for the 2012 Olympics as a long jumper. Once he learned that NBC was covering the games, he decided competing for a Longhorns team that might slip below .500 in the Big 12 was more appealing. Truth be told, I haven’t watch the Summer Olympics at all so I can’t really take the smug stance of an arm-chair media critic. However, I can critique Goodwin’s game. Most long jumpers have world class speed and Goodwin doesn’t disappoint here. However, as highlighted this spring with Stephen Hill’s game – Speed Kills, Now Learn How to Aim! – Goodwin has to refine what he does with his natural separation skills to become a dangerous NFL receiver. 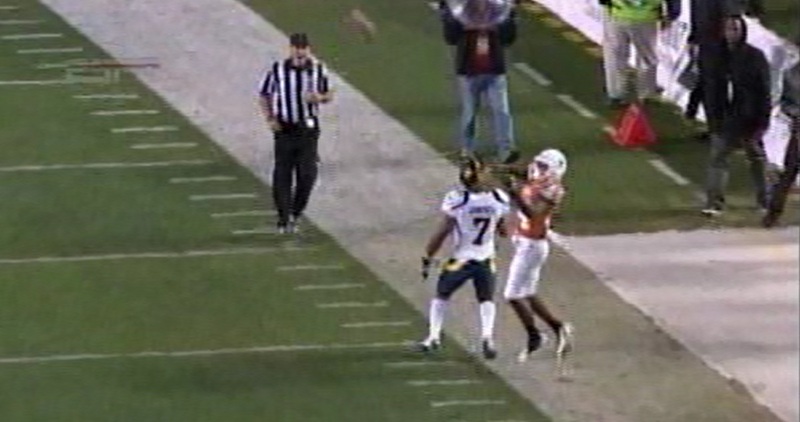 Here is the first of two posts – one play each in the December bowl game versus Cal – that illustrate my point. Each post illustrates why a knowledge of angles is just as important as speed. Goodwin was targeted on a wheel route from the slot on 1st and 10 with 4:30 in the half, making the catch at his back shoulder inside the boundary. In fact, Goodwin makes a nice adjustment to the ball and demonstrates awareness of the sideline during the act of the reception as falls away from the field of play. Goodwin works back to the ball and leaps towards the pass to catch the ball in an early window. As Goodwin secures the ball to his body, he angles his feet inside the boundary, demonstrating good sideline awareness. Goodwin gets both toes inside the boundary for an apparent completion. Good body control on the reception. 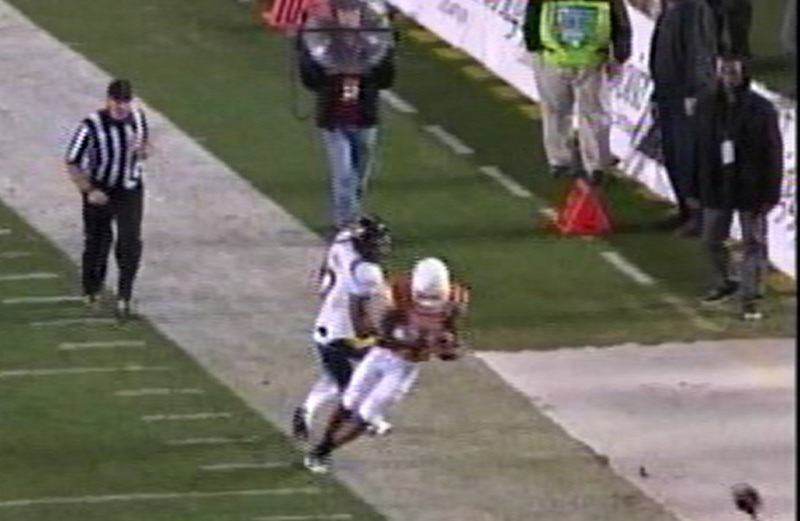 Despite good sideline awareness in the act of the catch, Goodwin did not show good awareness on the route. 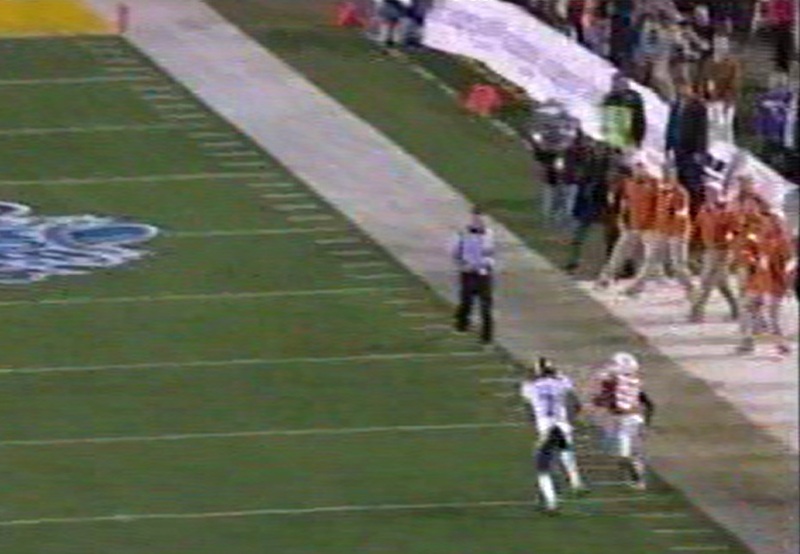 Earlier in the route he steps out of bounds before he turns back for the football, which nullifies the reception due to an illegal touch penalty. Goodwin had a step on the corner with the ball in the air, but he did not use that separation to get his back ahead of the defender. 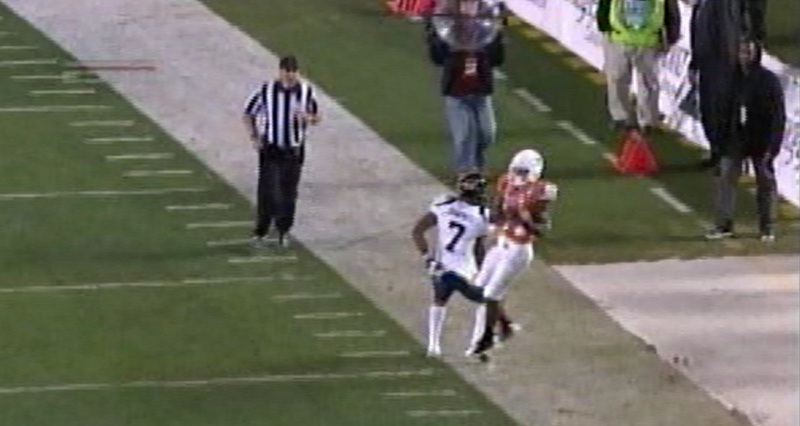 Goodwin had even more separation about 3-5 steps prior to this picture frame. At that point, he needed to slant inside to get his back to the defender. Instead, his poor position allows the defender back into the play as the ball arrives. 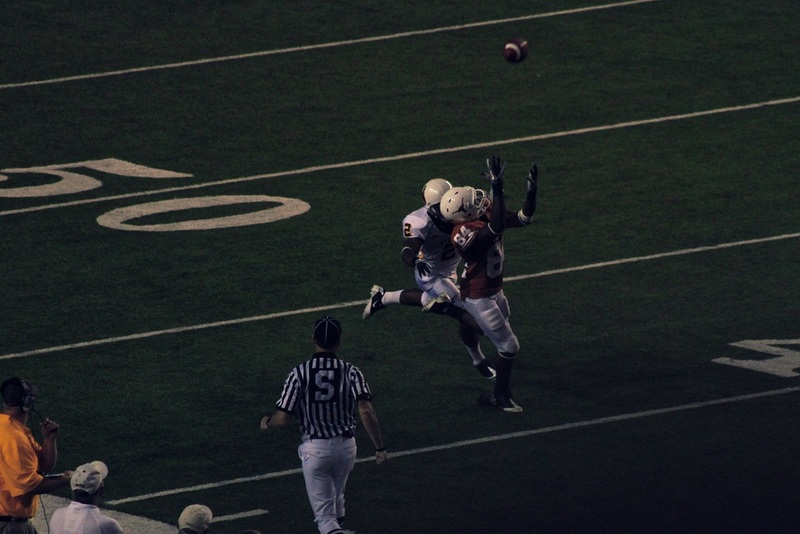 This pins Goodwin to the sideline and places the receiver at a disadvantage. Goodwin could have eliminated the defender’s angle to cut off the pass. Instead, he allows the defender to get into his hip. I link to this video regularly, but this coaching session from former Packers’ receiving great Sterling Sharpe is the best explanation why an understanding of establishing good position after initial separation is vital to winning the football. Goodwin’s lack of awareness to go the extra step and cut off this inside angle allows the corner to jump into path of the pass and force Goodwin outside the boundary. Because Goodwin has to slow down to wait on the pass, his lack of position allows the defender to recover and earn better position on the target and pin the receiver to the boundary. Goodwin could have prevented this from happening much earlier. Once the speedy wide receiver needs to learn how to establish position after initial separation to ensure he is the only one capable of legally catching the ball, he’ll become a consistent force in the vertical passing game. He’ll make more catches or draw more interference penalties – both huge positives in the NFL. Read Part II – Goodwin’s issues versus press coverage.